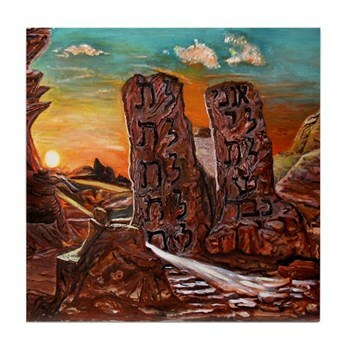 On Shavuot morning next Friday, in synagogues around the world, we will read the Ten Commandments. It’s remarkable, when you think about it, what a success they’ve been. Over the past 3000 years the Jewish people has done an extraordinary marketing job on conveying these basic ethical and spiritual laws. Across the Western world today they are acknowledged as axioms of civilized life. Well, mostly. My friend (Hazon Rabbinical Scholar) Steve Greenberg likes to qualify that success as follows. Rabbi Steve makes an important and timely point. Shabbat is a precious spiritual and ecological resource. It contains wisdom that is profoundly needed today by everyone about how to place limits on the untrammeled pursuit of wealth that is one of the drivers of ecological destruction. However, reading through the big 10 this year, I realized that at best we can only claim to have delivered eight and a half. The last commandment, “lo tahmod” usually translated as “Thou shalt not covet” (your neighbor’s house, wife and property etc.) has been a hard sell. I would suggest “do not acquisitively desire” as a contemporary rendering. One way to create desire for a consumer product is to persuade someone that what he desires is an absolute necessity of life. This isn’t always a very convincing strategy when we’re talking about chewing gum, laser hair remo val, a private yacht and other non-essentials. Another route is to persuade the person to want it because someone else has it. And that is inciting the consumer to flout lo tahmod. The lo Tahmod economy worked brilliantly. Until it didn’t. Today we can see that at least two of our biggest and most intractable problems have to a large extent, been driven by it. Global climate change, which threatens to wreak havoc on the world’s weather within our life times is worsened by fanning the insatiable need for more stuff. 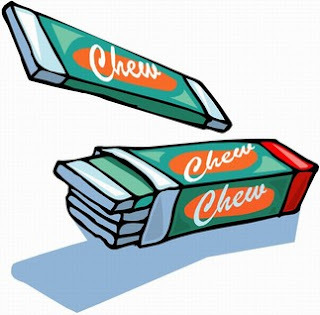 Consider that in 2006, Americans spent over $3 billion on deodorants and $1 billion on chewing gum. The emission of greenhouse gases caused by manufacturing, transporting, marketing, managing and storing so many barely distinguishable items is immense. More obviously still, the financial crisis was stoked by the same spiritual passions. The universal American dream of owning your very own sprawling suburban mansion with a 100% upfront mortgage undid the buyers, the banks, and very nearly the whole economy. Blame the Fed, the regulators, the investment bank managers, the mortgage lenders, or the poor suckers who lost their shirts and homes. In a sense it doesn’t matter. All colluded in seducing, cajoling and enabling people to borrow money they didn’t have to buy houses they couldn’t afford but felt they absolutely had to have. 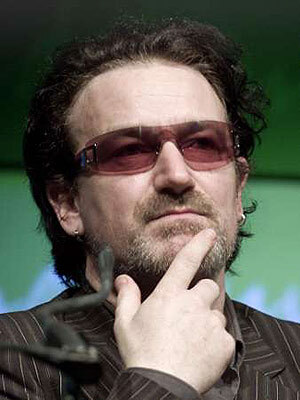 from U2 wrote in the New York Times, “Is it me, Lord, people are starting to ask, across the US and Europe… Yes, it’s us.” The bank rescue plan, the stimulus, green jobs – they are all necessary and important, but without addressing the lo tahmod roots of the crisis, we’re just stumbling towards the next one. Men can only forbid crimes, and where necessary, bring committed crimes before their tribunals. But…the real breeding place and birthplace of crimes keeps beyond their cognition. Consumerism isn’t an easy issue for American Jews. By dint of being relatively affluent, the conspicuous consumption that tends towards envious acquisitiveness is common in our communities. But it’s an issue that has to be addressed. But I think that’s the wrong argument to make. The right argument today for Jewish leaders to enact voluntary norms limiting excessive, conspicuous consumption is that we should be striving to be part of the solution. We are starting to recognize the corrosive effects of consumerism on our families, our economy and our planet. The mitzvah of lo tahmod helps us to identify and act on the roots of the problem. Now is the time to deliver on the last of the ten commandments. It may seem odd to be writing about shmitta six and a half years before the next Sabbatical year. Not at all. We need to start thinking and planning now if the Shmitta of 2014-15 is to be a time of ecological, economic and spiritual renewal for the Jewish people, rather than an unseemly political squabble. The causes of the economic crash are at the same time incredibly complicated and extremely simple. The simple version is that the US mortage and housing market broke free of some fundamental principles about buying houses. Once upon a time, to buy a house, you had to work hard, save a lot of money, and maybe supplement your savings with a mortgage that you arranged with a banker who knew you personally, and with whom you took responsibility for the repayment of your loan. No longer. Over the last ten years, banks have advanced huge mortgages to people they never met, with little regard to their ability to repay. The mortgage assets were then parceled up and sold to other banks and investment houses increasingly removed from the original house buyers. All this was done out of a perfect faith in the endless upward trend of the housing markets. When house prices ceased to defy gravity, thousands of home owners defaulted on mortgage payments, mortgage-based assets became almost worthless, and large distinguished banks who held a lot of those assets collapsed, nearly bringing down the world financial system with them. Financial bubbles, like the one in the housing market happen when people’s hopes, expectations and greed-driven delusions about the value of their assets lose all contact with the underlying economic reality. The more sophisticated our economic system, the more we can engineer assets that have less and less to do with real things and the more extreme the bubble. Markets periodically and harshly correct these fits of wishful thinking, at the cost of great economic suffering. Often those who suffer most have done least to cause the problem. 2. Food from the Shmitta year should be treated as food, Not as a compress for a wound, or air freshener, or biofuels, or anything else that food products can be used for. This is based on the same verse from Vayikra 25: 6 “to eat.” Once in seven years we get back to an awareness of food as food, not as a commodity or raw material for some other manufacturing process. And so on. These laws are all about returning to an immediate relationship with the food we eat, as food and connected to a particular time and place. Food is the most basic economic index. The Shmitta is about ceasing to distort, quantify or objectify our connection to the source of sustenance. How do we use this value of returning to an immediate connection with economic fundamantals as a corrective to boom-bust economics? Let the discussion continue! We have six and a half years to get it right for the shmitta year, but we the world needs a way to actualize these values even sooner.